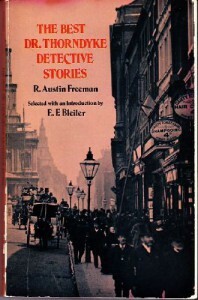 Think "CSI: London (c. 1900)" or an episode of "Columbo" or "Quincy" and you'll have an idea of the flavor of this collection of mysteries written by R. Austin Freeman in the first decades of the 20th century. 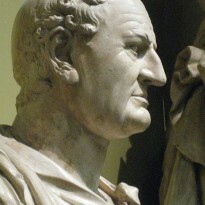 Freeman was one of the pioneers of the "scientific detective story" and is a competent writer. The chief actors in the series are the eponymous Dr. John Thorndyke and his friend/junior partner Dr. Christopher Jervis - the comparison with Holmes and Watson is inevitable and obvious. Unfortunately for Freeman, Thorndyke and Jervis are just not as interesting or dynamic a pair as Holmes and Watson (a modern comparison is the electricity between Kirk and Spock vs. the power failure between Picard and Riker in the Star Trek genre). The chief reason I like Conan Doyle or the other (rather limited) group of mystery authors I read are the characters who inhabit the authors' universes rather than the mysteries themselves. Thorndyke is just too colorless to draw me very deeply into caring about the story. Nevertheless, the stories are enjoyable and entertaining enough and helped fill in the time between climbing into bed and falling asleep. Yet faced with volumes of Conan Doyle or Freeman, my hand would stray to the former. I'd only recommend these tales to aficionados of Victorian detective fiction.